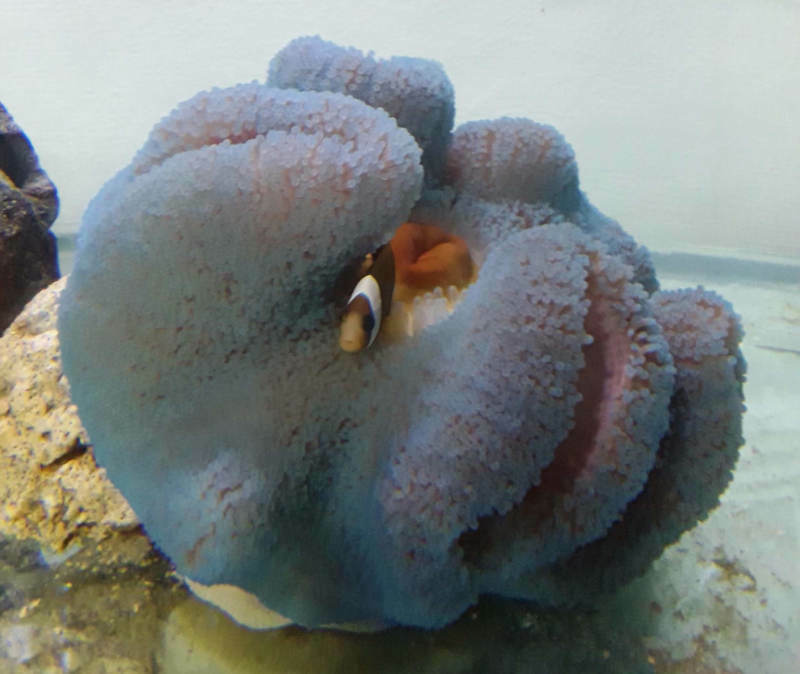 Carpet Anemones are very attractive and are greatly admired additions to a marine aquarium. They associate with different species of clown fish makes them even more desirable for many hobbyists. Found in the Indo-Pacific region and can grow pretty large. All three Stichodactyla haddoni, Stichodactyla gigantea and Stichodactyla mertensii are referred as the carpets. Not very easy to keep and require lot of lighting. They are very sticky to touch and can feed on other fish in the display. My Experience with the carpet anemones was not that great as It was quite big for my tank size. I had some other fish as well in the same tank. After 5 days two of my damsels were not seen in the same tank. I had to shift the carpet to individual tank with a single Amphiprion melanopus. Which stated hosting in the carpet immediately on adding. I was feeding the carpet with dried shrimps. Finally, I had to give away the carpet. As it was in an individual tank and was taking up my space, that could be used for some other fish. Some of the points to remember while keep or considering for carpet anemones is that they are big, they are killers and are very sticky. It would be next to impossible to make carpet leave its prey, what so ever it may be without damaging. You can also feel the stickiness on your hand if touched prefer wearing some gloves before handling. Although, they look very nice in large well established aquariums.